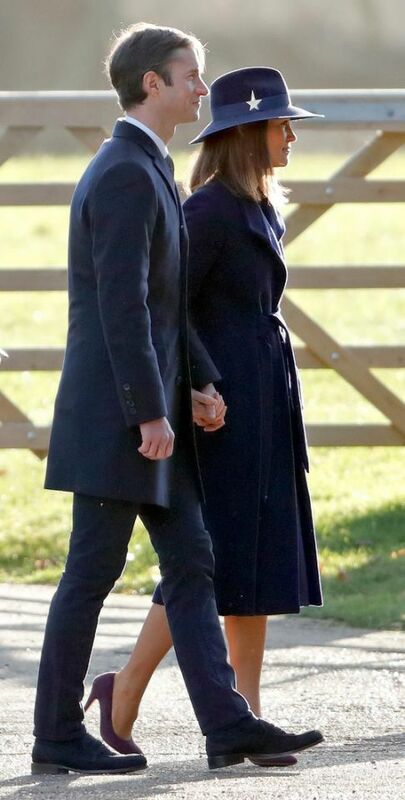 It may have been a chilly Sunday in England but that didn’t stop a pregnant Kate Middleton from walking to church with her in-laws. 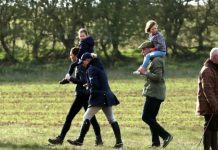 The 35-year-old, who is expecting her third child in May, appeared alongside Prince William and Prince Philip as they made the short saunter to St. Mary Magdalene Church in Sandringham for service. 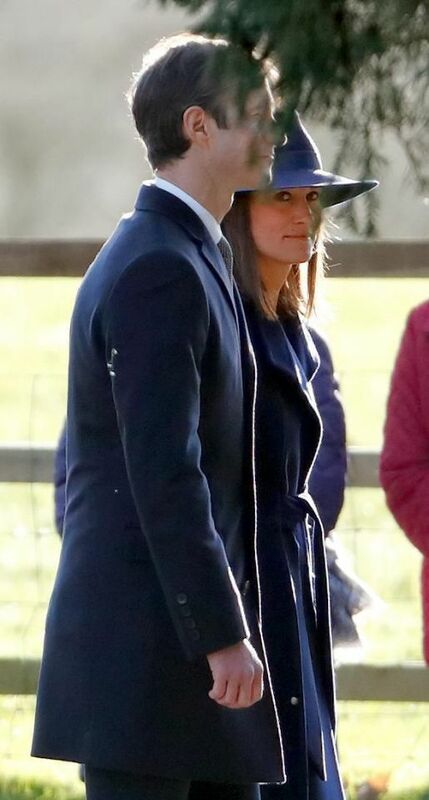 She was also joined by her sister, Pippa Middleton and her new husband, James Matthews, who looked stunning in a dark navy coat and a matching hat. 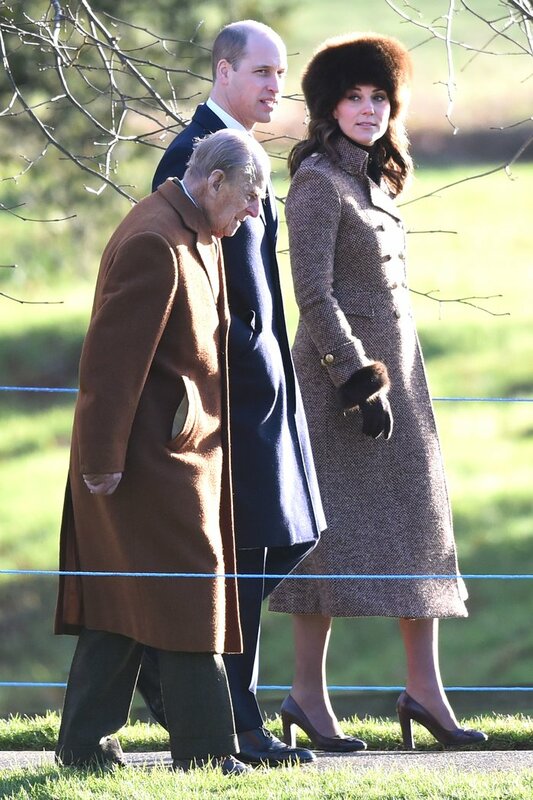 The Duchess however was the talk of the service, arriving to church in the same Moloh coat she wore on Christmas Day in 2014, but this time she showed off a glimpse of her precious baby bump. 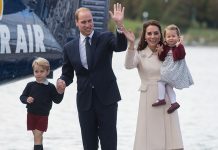 She matched the brown and cream checked ensemble with a Chanel bag and her beloved burgundy Tod’s fringed pumps. 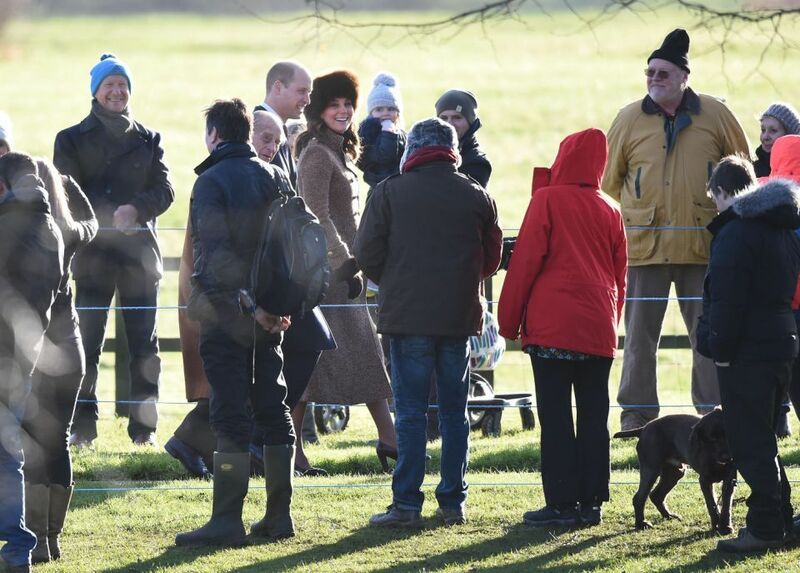 Kate made sure she was toasty on her walk by donning a $250 fur-trimmed hat by Lacorine. 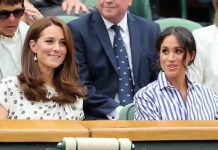 She’s a major fan of the milliner, having already been spotted out-and-about in a few of the designer’s hats over the years. 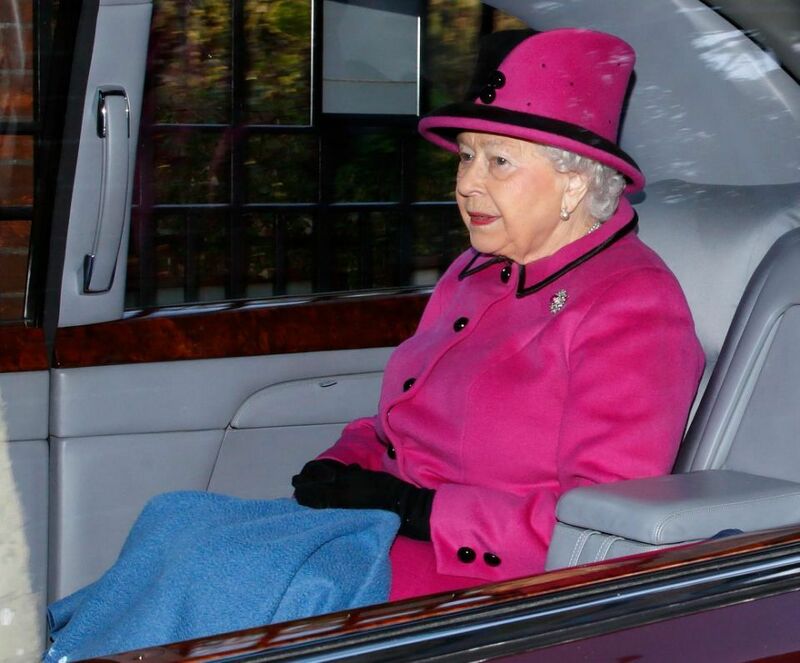 Queen Elizabeth arrived at the church in a car and stepped out in a bright pink coat and black and pink hat. 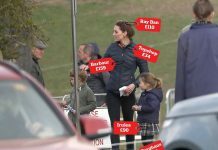 The royal family’s recent visit to church comes after the whole clan made an appearance at Sandringham on Christmas Day. 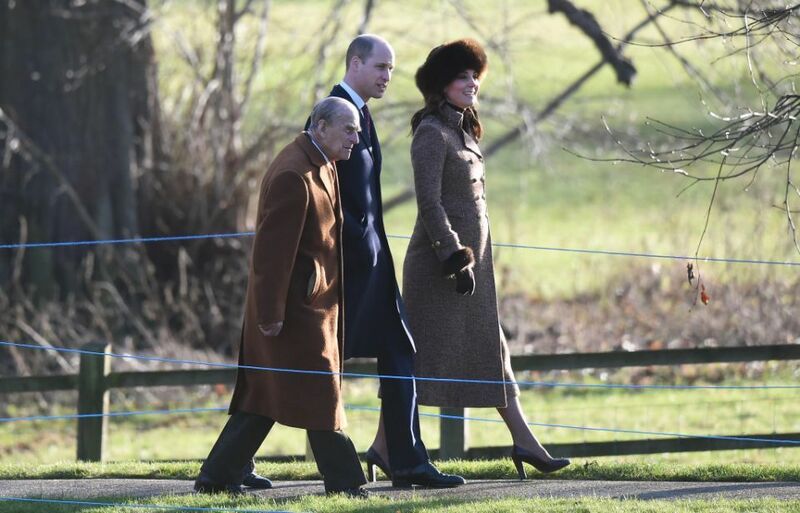 Newest member, Meghan Markle, made her first official outing with the wider members of the family and dazzled in a cream coat and matching brown hat. 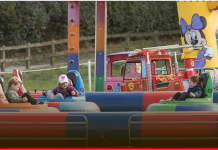 It’s thought Prince William and Kate Middleton will make their way back to London today, as Prince George is due back at school and Princess Charlotte is set to start nursery this week.